Setting up my micro-dairy keeping calves at foot. Hello and thank you for taking the time to read my blog. 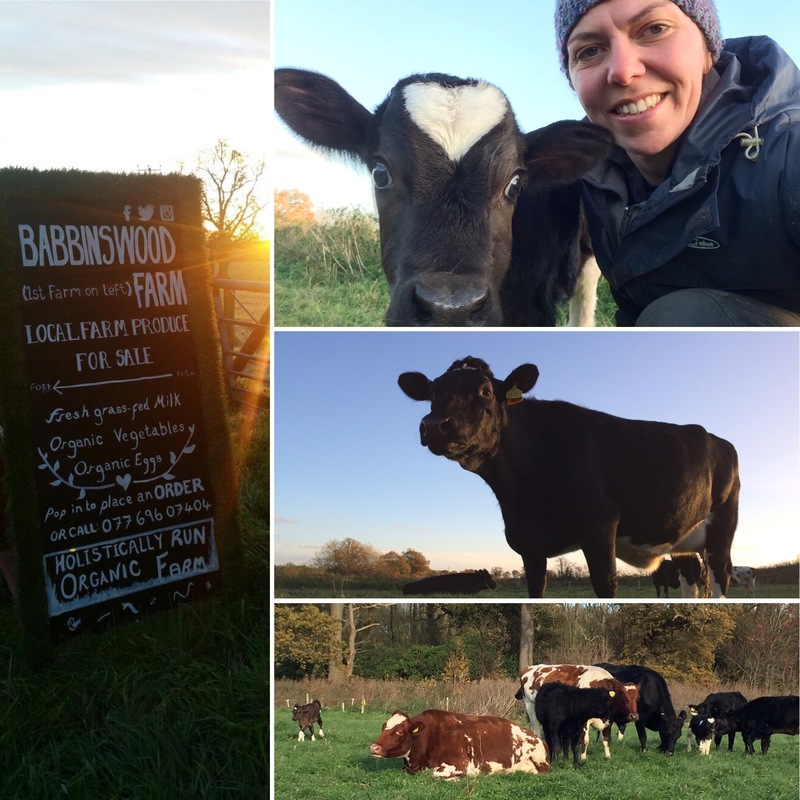 I know time is precious so I really hope that from reading this you will be inspired by what we are trying to achieve here at Babbinswood Farm. 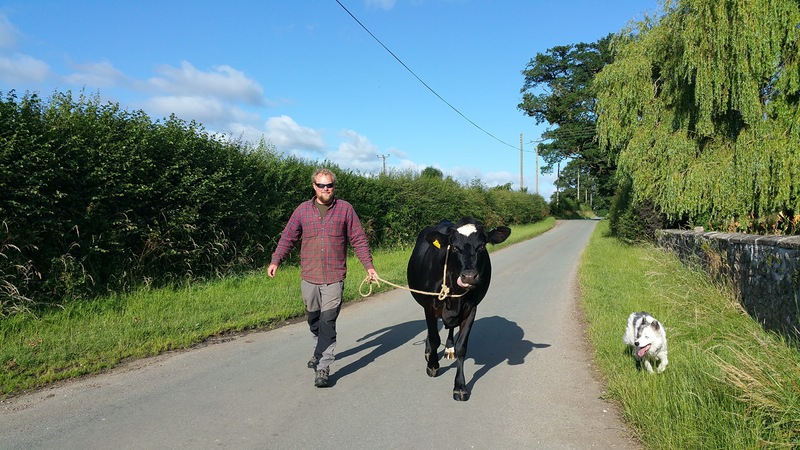 So in my previous blog I shared the reasons why farming is important to me and I am now going to share why I have chosen to bring back the family tradition of dairy farming but in a way that is important to me. April 2016, April came into my life, April is now my house cow. This all started when she sadly lost her calf. As with a lot of commercial farming, cows need to have their calf in a certain period of time during the year (calving block), if they fall outside this time they are usually sold on to other farms. Well in April’s case, she was very small and unable to have her calf naturally, so a choice had to be made by the farmer to either end her life (as some farmers need to justify the cost of the c-section and post op care with how productive the cow will be after the operation) or I take responsibility for the c-section and care for her post op and beyond. 20 minutes to make a life changing decision I had to decide that I would either continue as I am, a concerned consumer and buy my food thoughtfully and sadly accept that this type of decision making the farmer follows is farming now-a-days and there is no way of it being any other way. Or I help bring change and become one of the concerned farmers and say NO these animals are living beings and should be given more thought than just the inconvenience they will cause the system they have been bred into. It was this very moment that I decided to save April. Fortunately for me and April, my mother AKA supervet, Barbara Jones, rolled up her sleeves and preformed the c- section. April’s calf sadly did not survive, but April did and ever since she’s has become my best friend, with the added benefit of giving 5 litres of fresh lovely milk per day. Over the last year April’s milk has been made into all sorts of products, cream, butter, ice cream, yogurt, soft cheese. My story and my produce caught the attention of the friends and family and this spurred me on to get approval to sell the milk and products direct from the farm, both raw and pasteurised, working closely with the Food Standards Agency and my Environment Health Officer I finally got the go ahead in May 2017 to sell my products. It was important to me not only to sell a safe, high quality product but to also take responsibility for what the products are sold in. All my packaging is in glassware all reusable with recyclable lids and more recently card product information sleeves again fully recyclable. April’s milk was highly sort after and sold out each week. 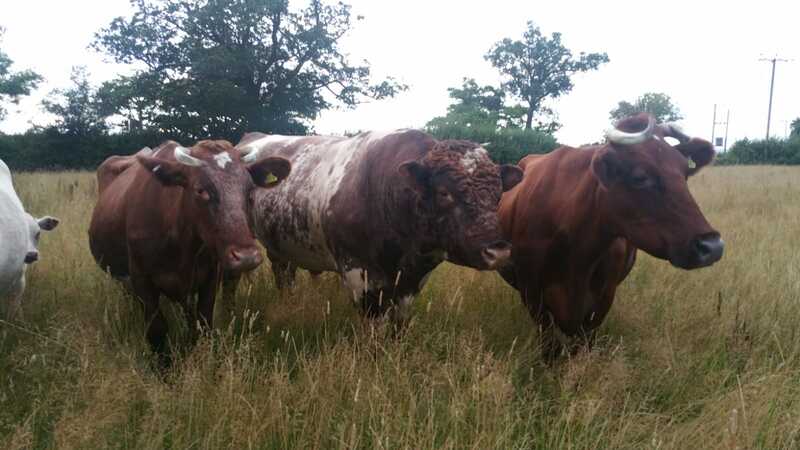 Which lead me to look for more cows, in August 2017, I welcomed three Aryshire cows with their calves at foot, and three in-calf heifers crossbreed to the herd. April took a little while to get used to her friends but was soon happy to boss them about and show them around. These girls would be the start of my calf at foot dairy herd supplying The Little Dairy with delicious milk products. Setting up my calf at foot dairy I have had so much advice and guidance from Christine Page at Smiling Tree Farm in South Shropshire. The Aryshire cows came with their two week old calves at foot. It took months for them to get used to us as they came from a big herd, suddenly being handled daily was new to them. However we were patient and won them over with daily brushes and strokes. The next challenge was finding the way to share milk with the calves. 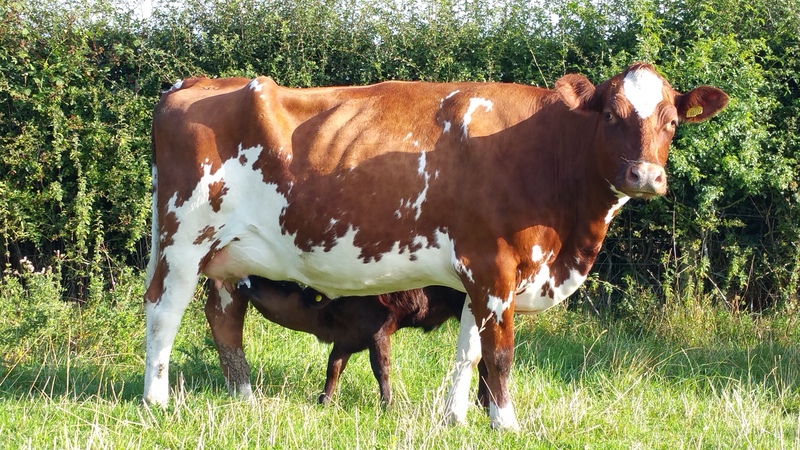 Because building the routine and relationship with the mother and calf from the day one is so important, it made it a tricky process for these cows and calves, milk let down was an issue in the first few months. The process I am still experimenting with and it seems to depend on the individual cow calf relationship and time of year. With the Ayrshire cows, I separated the calves every night, so I could have a bit of milk in the morning, the cows could still comfort the calves, smell and lick them but the calves just were not able to suckle. My dairy crosses breed calved in November, they had their calves on them 24 7 for the first eight weeks I then began night separation, but also coming into the parlour to be milked. I only milk once a day, so the calf drinks milk all day. I have found the calves need to be motivated to want to be separated at night, it works better when there are more calves and they can create their own little group and feel confident and safe together, with mum over the gate to groom them on demand. I found that my crossbreed cows and calves responded more positively to milking system because they already had a good relationship with me. They were happy to let there milk down and feed their baby after milking. On average I get 5 L per cow when the calf is feeding. Then once weaned at six months old, the cows give 10L per cow for a further 6-8 months. All the cows are 100% pasture fed, although the farm has been organic since 2002, I finally got around to being a certified producer with the Soil Association in June 2018. I am looking in to being certified by the Pasture Fed Livestock Association next year. I can joyfully say I have achieved that. I would like to grow my aims to include being able to grow the herd so I can offer my products at a more affordable price. So the products are more accessible to the wider community. Food for thought this week: Earthworms ingest organic residues of different C:N ratios and convert it to a lower C:N ratio and finally contribute to carbon sequestration. Thus they help also to mitigate climate change.